Good thing it was SEIMEI and not LGC, otherwise we'd all be distracted during the slowmos. Is it wrong that I'm liking LGC more and more as I watch it? I feel the same. And I wish Yuzu will have more programs like LGC, but given it's more physically demanding than something classical or slower, a gala program would be great too. With the end of WTF, err, WTT, I am officially off to spend time with more logical sports/real life. 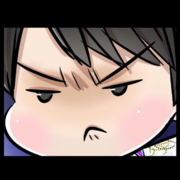 I await Zuzu's next season, along with some of my other bbys, but not the competitions anymore, unless some kind of overhaul happened in or to ISU this summer. 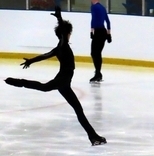 I'll watch the performances of skaters I like, and of course, will follow anything Zuzu, but enough of this madness. 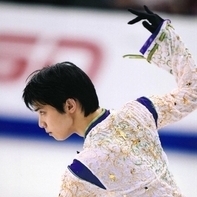 Finally the season is over, and we will see Yuzuru next week. I think there should be a thread to predict his music/program next season too. So, guys, this season has come to its inevitable end. I really feel salty and sad, not just because we are going to face a desert for a few months, but because of the way the season ended. I really wish for a silver lining of the mess we just whitnessed, but my usual optimism is kind of in a coma right now. Eh, tomorrow is another day, if Yuzuru is still fighting, there is probably a light at the end of this tunnel. Nice weekend to you all, satellites! So happy that you exist! and next week we'll hopefully see Yuzuru being paid the due respect by his people,how about that for a silver lining? The beauty of the cherry blossom is heightened by the shortness of its life. We see the life itself and its beauty in the flower. That's why we appreciate so much while we can. End of WTT marks the end of fs season and I feel mixed emotions right now. Some positive and some not so positive. 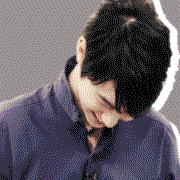 But all and all, it made me realise why Yuzu is so special. When he's in, the competition becomes alive. His skating creates moments and times that people will remember and cherish for years to come. It is not just a program that he performs but it becomes an experience. How many skaters can give such intense 4mins in your life? Life of a flower may be short but an image of the beautiful flower can live forever in your heart as long as you live. We can’t even if we wanted to. That’s just too expensive.